'Footprints, The path of your life' is a documentary film about the Camino de Santiago of which I spoke a few weeks ago in ViveCamino. The film was released in selected rooms Madrid and Valencia and has already been seen by 13,000 people, with a great word of mouth and influenced so that the tape was finished premiering in many more rooms than originally planned, multiplying its number of viewers ( 'Footprints' has worked through the premiere format on demand). The numbers of viewers of the documentary expected increase further next thanks to the celebration of the Fiesta del Cine, with reduced prices that are expected to fill the rooms of our country the next 24, 25 and 26 October week. Moment 'Footprints, The path of your life' has been released only in Spain, Paraguay (entering the top 10) and Colombia, but these next few days are expected to do so also in countries like the United States, Argentina, Uruguay, Chile , Italy, Poland and more. 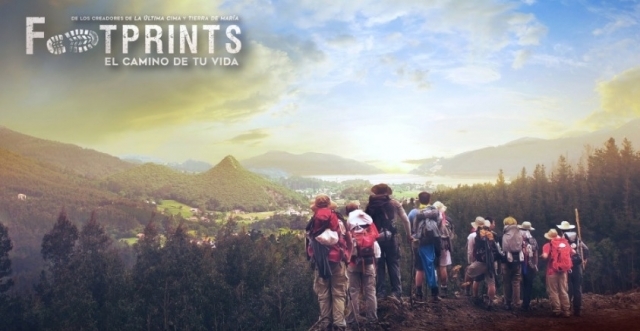 'Footprints, The path of your life' closely follows the adventure of a group of pilgrims from Arizona who travel the Camino de Santiago for 40 days, covering over 1,000 kilometers through routes like the Northern Way, the lebaniego route or the Primitive Way. Part of the proceeds of the documentary film will go to Caritas to help people with mobility problems.